Prof. Francisco Cisternas is an Assistant Professor of Marketing at The Chinese University of Hong Kong (CUHK) Business School. 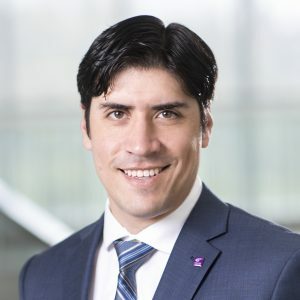 He received his PhD in Business Administration (Marketing) from Carnegie Mellon University, and a BS in Industrial Engineering and MS in Operation Management from the University of Chile. His research focus on modelling the interactions between the digital and physical channels using big data. His research applications include Financial, Sports and Retail Industries. Prof. Cisternas’ work was awarded two research grants from the PNC Centre for Financial Services and Innovations and was distinguished with the Dipankar and Sharmila Chakravarti fellowship for his contributions to research in Marketing.